[2015-2017] ConnectinGEO: “Coordinating an Observation Network of Networks EnCompassing saTellite and IN-situ to fill the Gaps in European Observations.” In this project, Tiwah leads the work packages that link societal goals to the essential variables that are crucial for the metrics to measure progress towards these goals and that determine the gaps in our observation systems for these essential variables. Tiwah also provides a link between the project and the GEOSS Science and Technology Stakeholder Network. [Since 2014] SEE IN KB: “Socio-Economic and Environmental Information Needs Knowledge Base.” The development of the SEE IN KB was triggered by the guidance ministers provide to GEO during the Ministerial Summit on Earth Observations in January 2014. They defined five priority areas of activities, of which one was: “Develop a comprehensive interdisciplinary knowledge base defining and documenting observations needed for all disciplines and facilitate availability and accessibility of these observations to user communities.” The SEE IN KB aims to be this knowledge base. 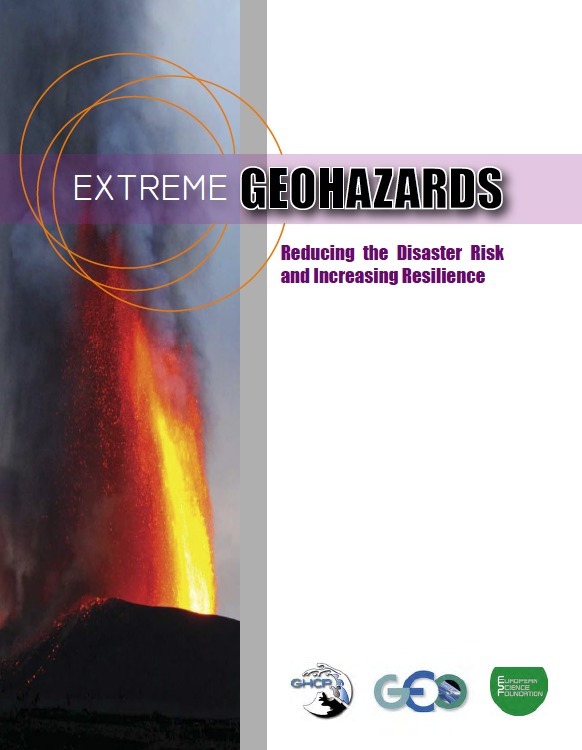 [2012-2015] Assessment of global risk of extreme geohazards: This project was supported by the European Science Foundation. Tiwah managed the project and co-authored the final report, i.e., the community white paper “Extreme Geohazards: Reducing the Disaster Risk and Increasing Resilience.” Tiwah conducted research, solicited input from the Geohazards Community of Practice (GHCP) of the Group on Earth Observations (GEO) and organized a community review of the white paper. [2010-2012] EGIDA: Although not a formal partner of this EC-funded project, we contributed to the project in various ways and were leading in the development of several deliverables. Among these deliverables were the design of a meeting portal, which was later implemented by Tiwah as part of the GEOSS Science and Technology Service Suite (GSTSS), the GEOSS S&T Portfolio, the GEOSS Data Citation Guidelines, and a proposal for the GEO Label. Tiwah also participated in the organization of two GEOSS Science and Technology Stakeholder Workshops in 2011 and 2012 and supported one of the co-chairs of the GEOSS S&T Stakeholder Network (GSTSN). Some of the results are reported in Nativi, S., Mazzetti, P., Plag, H.-P. (eds. ): Towards a Sustainable GEOSS (Global Earth Observation System of Systems) — Some Results of the EGIDA Project. ISBN 978-88-98262-05-2. [2009-2012] User Requirement Registry (URR): Tiwah was leading the design of the URR. The implementation was done by SCG Corp with funding from EPA. Tiwah was a contractor to SCG and responsible for the design and the population of the URR for several areas, including coastal zone management and disaster risk reduction. Tiwah also led the work with experts in air quality, respiratory diseases, and infectuous diseases who provided inputfor the URR.